Play FreeCell Online in your browser with full undo and redo. Works on desktops, laptops, and tablets! 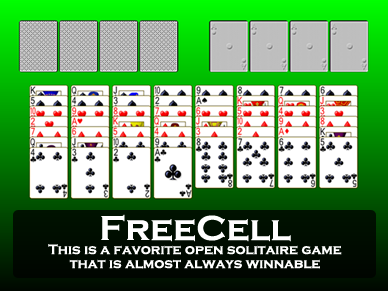 See many other solitaire games to play online in addition to FreeCell. Click Here to Download Pretty Good Solitaire Now! Play over 950 solitaire games including FreeCell and Double FreeCell!